Navalized Sukhoi T-50 PAK FAs to be deployed on the Russian aircraft carrier Admiral Kuznetsov. The Sukhoi T-50 PAK FA will be deployed on Admiral Kuzetsov and future Russian Aircraft carriers. The Fleet Admiral of the Soviet Union Kuznetsov, currently the only aircraft carrier serving as the flagship of the Russian Navy, will be upgraded, the media reported, quoting Navy sources. The aircraft carrier, due to enter in 2012, will be re-launched in 2017. The Admiral Kuznetsov entered service with the Russian Navy in 1991 and was used for the operation of deck aircraft, the development of new tactics, including those for dealing with carriers of theoretical enemies. 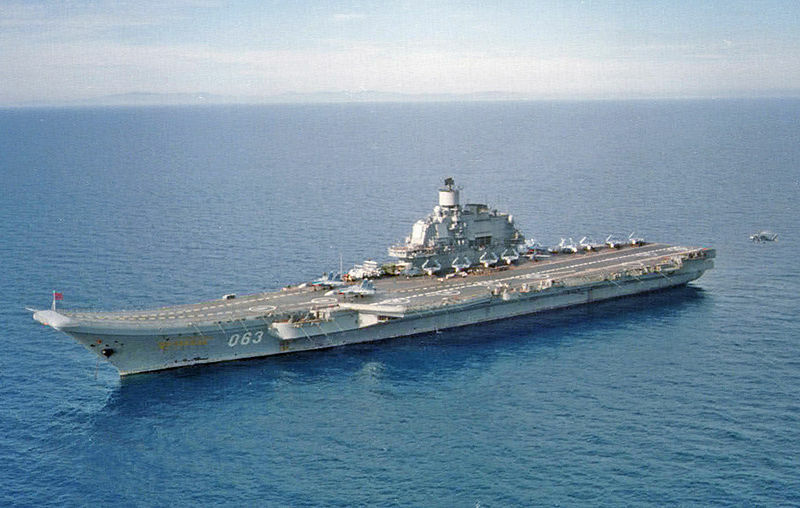 In the late 1990s and the early 2000s, it was repeatedly proposed that the Admiral Kuznetsov, which remained inactive for long time periods, be decommissioned and sold for scrap. However, an improved situation in the country gave the ship a new lease of life. Her propulsion unit and other equipment were repaired, and she started taking part in various high seas war games more often. The upcoming large-scale modernization was motivated by the need to eliminate the ship’s inherent drawbacks and to repair some of her units. Plans for docking the ship in 2010-2012 were discussed more frequently and have now been confirmed. The carrier’s air wing is to comprise 26 new Mikoyan-Gurevich MiG-29K,Fulcrum-D multi-role fighter aircraft, helicopters and navalized Sukhoi T-50 PAK FA (Future Frontline Aircraft System) fifth-generation fighters, currently under development. The Sukhoi PAK FA is a fifth-generation jet fighter being developed by Sukhoi OKB for the Russian Air Force.It appears that 15-20 of these aircrafts will be built pending the ship’s re-launching, which is likely to take place in 2020 rather than 2017.